The accused 44-year-old will front court on Monday. Police have charged a man over an alleged one-punch assault outside a pub. 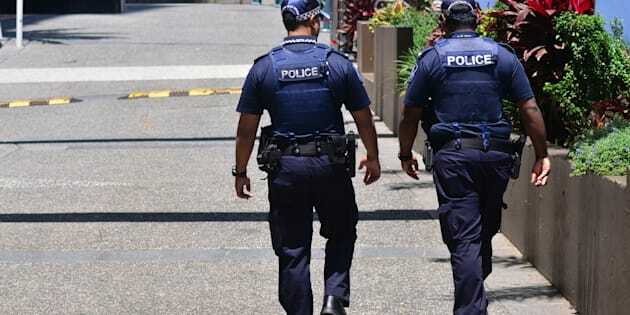 A man will face court after being charged over the death of a 69-year-old man who was allegedly assaulted at a hotel west of Brisbane overnight. Police were called to the Kerwick Hotel on Brisbane Road at Redbank just before 5:00pm on Saturday after reports of an assault involving two residents of the pub. Detective Inspector Lew Strohfeldt told reporters that emergency services took the victim to the Princess Alexandra Hospital on Brisbane's south side, but he later died. "Subsequently a 44-year-old male has been arrested and charged with unlawful striking causing death,"Strohfeldt said. He said police would allege there was an altercation between the two men during which the victim was struck and sustained the fatal injury. "People do not realise what can happen with just one punch," he said. "We see it far too often and this is really the result of a similar sort of situation." The alleged perpetrator is due to face the Ipswich Magistrates Court on Monday.